Our Signature Chocolate Assortment | Signature Chocolate Assortments | Online Store | Belgian Chocolatier Piron, Inc.
Our Signature Assortment is a little of everything of our very best Chocolates. 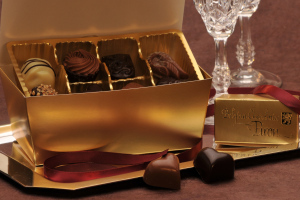 These assortments feature our signature line of chocolates. We fill each box with luscious Buttercream, Cognac, Grand Marnier, Mousse, Truffles and other delectable delights. Whether you need something special for a party, a present for a friend, a corporate gift or a treat for yourself, our Premium Assortment will be sure to please.